“The city managed to hold its air quality at acceptable levels despite going through the driest September in five years. With the exception of Anand Vihar, all other monitoring stations recorded satisfactory to moderate air quality levels last week. Delhi — world’s most-polluted city according to the World Health Organisation — started the month at the bottom of the air quality index with most areas recording high levels of pollution. But, a short spell of rain in the middle of the month helped improve air quality, the national air quality index showed. The city, however, still fell short of the expected rainfall. Till Monday, it received only 21.8mm of rainfall as opposed to 128.4mm it normally receives between September 1 and 28. 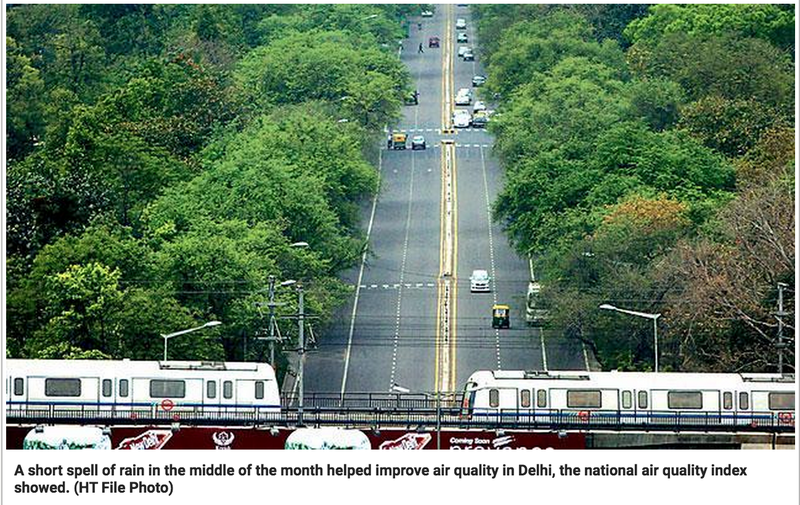 Air quality usually starts to deteriorate during long dry spells close to the winter.” Hindustan Times. Read it on delhiair.org.